I have sung in one GALA chorus or another for thirty years. I have attended every GALA festival since 1989: I participated as an alto in a lesbian chorus and as an alto in a mixed chorus, then post-transition as a bass in a mixed chorus and as a baritone in a men’s chorus. Each festival I’ve attended has brought with it an experience of marginalization. As a woman, I experienced the community marginalization common among women participating in an overwhelmingly male event. Various festivals have addressed this marginalization by offering events aimed at women attending GALA – festival choruses, women’s music concerts, and at our upcoming 2016 GALA, a women’s concert hosted by Sound Circle. These events are popular among women in attendance at GALA in part because they foster development of a women’s community expanded beyond each singer’s home region. I use the word ‘woman’ in the above paragraph, but in truth, each woman attending GALA is assumed to be a lesbian unless she comes out otherwise. Those women who aren’t lesbians thus experience further marginalization – not only are women in a minority at GALA, non-lesbian women are a smaller minority still. Their experience is one of marginalization as a woman at GALA, as well as marginalization among the lesbians forming community at GALA. The same holds true for women of color, regardless of their sexual orientation. GALA is an overwhelmingly white event. The marginalization of those who identify as trans in some way plays out differently than that of cisgender women (lesbian or otherwise). The complexity of various forms of trans identity is beyond the scope of this blog entry, so I will focus on my own experience as a transman. My first GALA experience as a post-transition transman came in 2000, attending San Jose GALA. Like most transmen a few years on hormones, I was consistently seen as a man. As is true in my daily life as well, my trans identity was invisible. This is a common conundrum for me – I’m much more comfortable in my life living as a man, but it sometimes chafes that my convoluted identity journey is invisible. The marginalization I now experience at GALA is one of complete invisibility. As a lesbian attending GALA, my identity was visible and marginalized through being outnumbered by men. As a transman, my identity is invisible and marginalized through being assumed to be (a) cisgender and (b) gay. 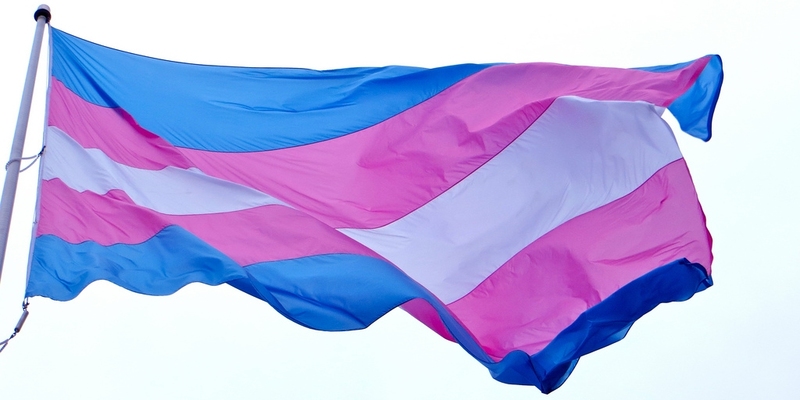 As a lesbian, I could make eye contact with other women in attendance, nod, and feel a solidarity: “I’m one, too, sister.” As a transman – my identity is invisible to everyone, trans and cisgender alike. Who do I nod to now in solidarity? I’m now assumed to be among the majority (cisgender, white and gay), with no need for the solidarity nod. In 2004 (Montreal), I sang with the first GALA trans festival chorus. I did so primarily because I wanted to feel like I was in the majority at some GALA event. I wanted to get to know other trans people so I could nod to them in solidarity during the festival: “I’m one, too.” It was exhilarating, and I was disappointed there were no trans festival choruses at subsequent GALAs. In 2008 (Miami), I had my first experience of attending a GALA festival with my wife. In a previous iteration of myself, we would have been seen as a lesbian couple. Now – we are seen as a cute straight couple participating in an LGBT event. Ironically, I AM the ‘T’ in LGBT. How many cisgender men have attended the Michigan Womyn’s Music Festival six times? How many are founding members of the Portland Lesbian Choir? How many have had to relearn the bass part to dozens of GALA anthems ingrained as an alto? My wife sang in the women’s festival chorus at GALA in Miami and found herself dealing with assumptions that she is a lesbian, and then having to explain my identity in order to satisfy others that she did indeed belong there. There is little enough understanding of T identity among LGB folks, she had a difficult time trying to explain that her involvement with me didn’t make either of us straight. We both identify as queer. I am a sucker for catchy titles, but “Both Sides Now” doesn’t reflect the totality of my experience at GALA. It does, however, reflect the binary view of how GALA chorus members have seen me: lesbian woman, and now straight man. True inclusivity would mean not making such broad assumptions about each other. There are invisible identities both in the realm of sexuality and gender. Assumptions of both gender and sexual identities perpetuate marginalization. I look forward to GALA 2016, again participating in a trans festival chorus. I look forward to continuing to provide education about trans inclusivity. As a retired trans therapist and writer/educator re trans issues, I now experience an intersection between my life as a singer in GALA choruses and my professional life. I am gratified to be of service to GALA, to give back to an organization that has been a pivotal part of my life for thirty years.